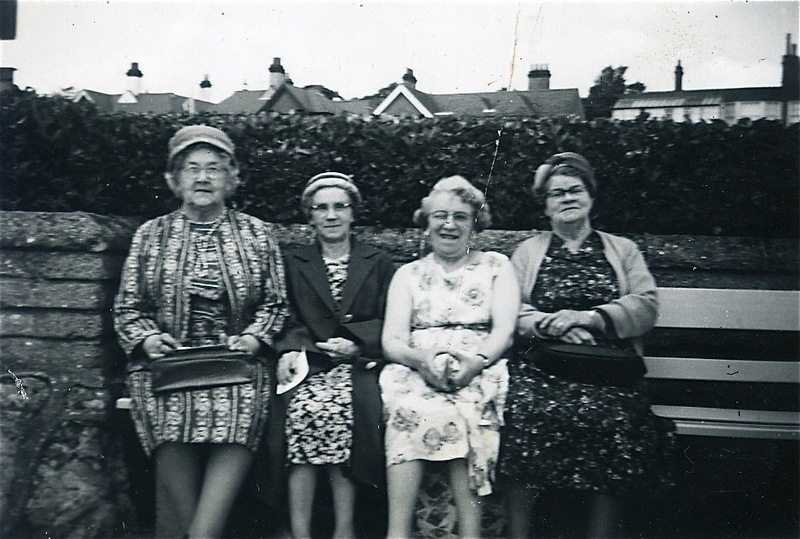 This is one of the photographs pinned to the noticeboard in the room where I write. You wouldn't want to meet this lot in a dark alley, would you? My grandmother is the one on the left and it is said that she hated this picture, but I love it. I think she thought it looked as if she was wearing the living-room curtains. Maybe she was. These are proper old ladies, although I don't think they can be that old - sixty-ish probably. From the moment I first remember her she always seemed to look pretty much like this. People really do age more slowly these days. I have old photos of children before the war and the fourteen-year-olds look about fifty. Young men of twenty dressed in tweeds and grey flannels with pipes their mouths look twenty years older than they really are. My grandmother lived to be ninety-four. She lived just long enough to meet my daughter, Emily, and to advise us to feed her on bread-and-milk. I don't think we took her advice. 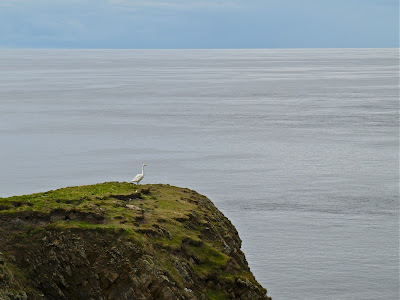 Fair Isle is an island of birds, although there are some people there too. This summer when we were there, the island appeared to be guarded by this lonely sentinel. It's a solitary Whooper Swan, and I don't know what it was waiting for. We stayed at the Auld Haa Guesthouse and could not have had a better time. Thanks to Tommy, Liz and Henry. This is a link to Tommy's Fair Isle blog. Can it be possible that there are more bird-watchers than birds? More of my own Shetland and Fair Isle photos are here.